We are offering Floor Scrubber to our clients. 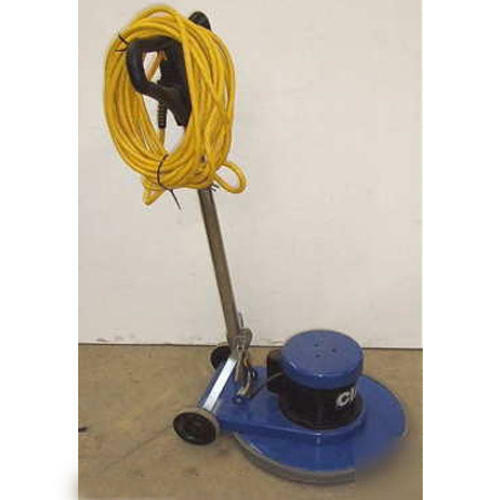 Floor scrubbing machine designed to clean the greasy floor fitted with lightweight motor with 12-inch disc brush cleans the floor with a perfect shine. We, British India Instruments Supplying Co. from 1969 are manufacturing and exporting a high-quality range of Hospital Furniture and Equipment. Offered products range consists of Blood Bank Equipments, Eye and ENT Equipments, and Hospital Furnitures. All offered products are designed using quality tested materials. The provided products are extensively appreciated amongst our customers for their durable finish standard, sturdy construction, easy to operate and less maintenance. Due to our state-of-the-art infrastructure unit, we are providing a quality range of products. We have divided our infrastructure into different departments like procurement, manufacturing, quality control, sales and marketing, and many more. Equipment with modern machinery, this infrastructure unit helps us to manufacture this hospital furniture and equipment as per the defined quality standards. In order to carry out a smooth production process, we make required changes in our infrastructure. The entire work process is supervised by our professionals who are hired on the basis of their rich industry experience and knowledge. We export in any countries like Sri Lanka, UAE, etc.